What is special about Braun’s new SensoSmart™ technology? Yes. It´s designed to help you catch more hairs so you don´t have to go over the same patch of skin all the time. The pivoting head glides over the skin, so it's in closer contact with the skin surface-and that's true even in tricky areas like the back of the knees. 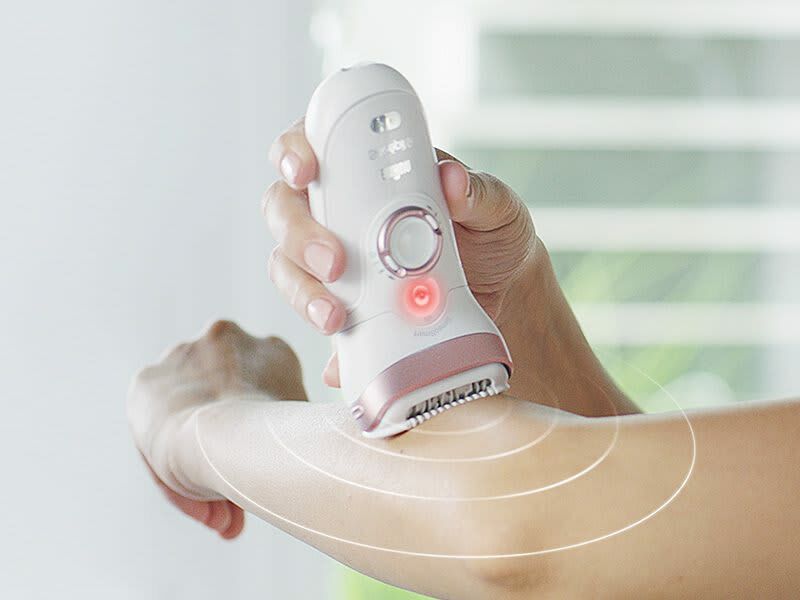 It is combined with the new SensoSmart™ technology, it helps guide you for the right pressure to catch even more hairs in one stroke.